Sunshine Health and Rehab recently earned a “Diamond,” the top level of Qualis Health’s Quality Gem program. Only two long-term care facilities in the state have reached this level. Met all the goals of a statewide collaborative focused on patient safety and the quality of care. Shared lessons learned with, and provided practical change ideas to other nursing homes located in Idaho and Washington. Achieved high-performance ratings on national quality metrics. Sunshine Home Health has the best rating for timeliness of care in the county! 99.2% of the time we are out to see patients within the required 48 hours or on the physician ordered start date. 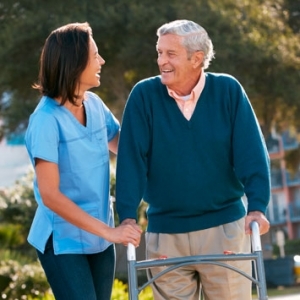 Sunshine Home Health has the lowest re-hospitalization rates in the entire country! Sunshine Home Health is the only home health agency in Spokane county that is locally owned and managed. SHHC is part of Sunshine Health Facilities which has been owned and operated by the same family since 1949.